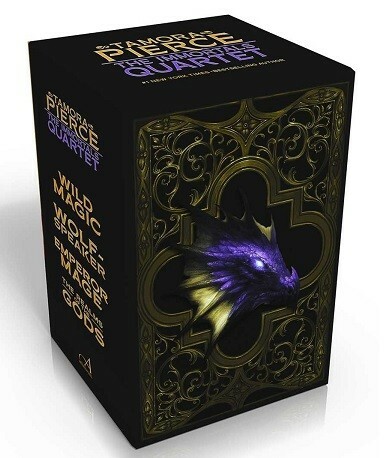 Experience the legend, adventure, and wild magic of the Immortals quartet, now available in a collectible boxed set with new cover art and afterwords from the acclaimed author of this beloved fantasy series, Tamora Pierce. 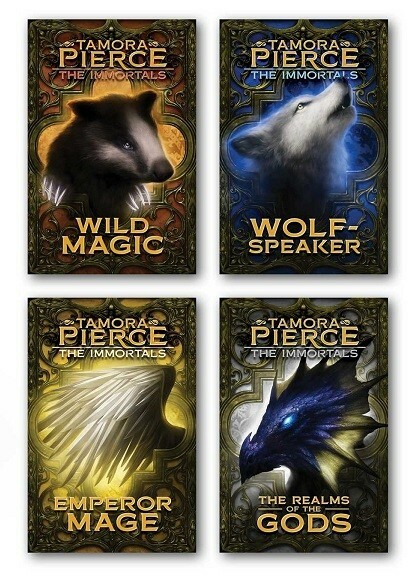 Set in the magical medieval world of Tortall, the Immortals quartet follows the adventures of Daine, a brave young orphan with a mysterious "wild magic," the power to talk to animals, a quest to hone her magical skills and discover the truth of her parentage, and a duty to protect the kingdom from creatures of myth and nightmare. 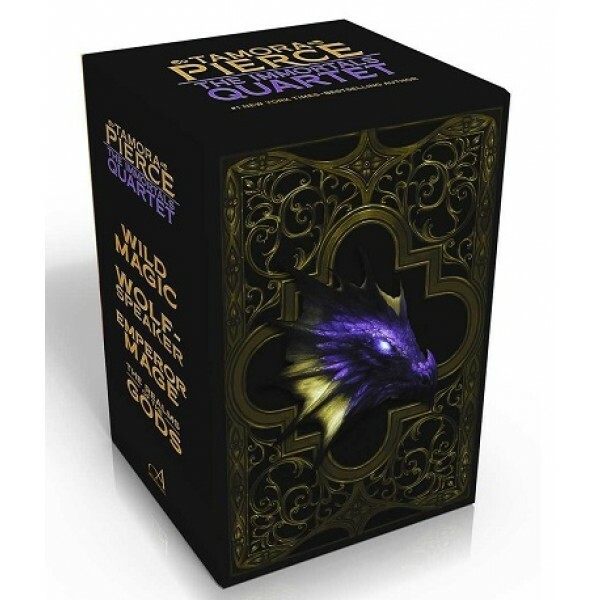 This paperback boxed set includes original afterwords from Tamora Pierce for each book in the collection: Wild Magic, Wolf-Speaker, Emperor Mage, and The Realms of the Gods.